A fast slitting process free of deformation - The material is not deformed during processing, meaning that you achieve the highest cutting quality. Fast processing with dimensional accuracy - The unimpeded view of the cutting line means that you can work quickly and precisely, even in curves. The right cutter for every application - A selection of cutters is available for perfect cutting results and high service lives. 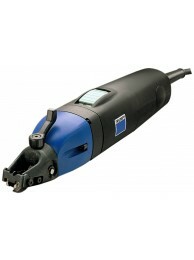 Ready for use - fast - Slitting shears do not need to be adjusted, meaning they are ready for use in the blink of an eye. No scratches on the sheet surface - The defined and spiral-shaped rolling of the chip prevents scratches on the workpiece. Ideal view for precise cutting. 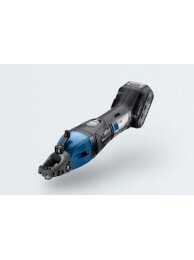 The cost-effective model without chip clipper is particularly well-s.. 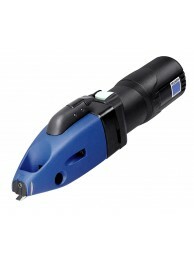 Battery Machine for precise cuts - The 10.8 V battery machine, without chip clipper, is particularly.. 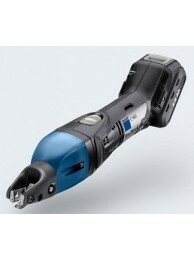 Handy battery-powered machine with chip clipper - The TruTool C 160 Li-ion 10.8 V cordless machine, .. The handy chip clipper option - The TruTool C 160 with integrated chip clipper for two-handed operat..
Unbeatable and powerful - The TruTool C 250 provides unmatchable performance. It cuts sheet thicknes.. 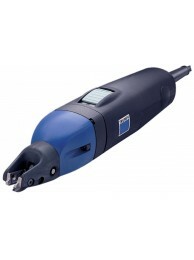 The most powerful cordless slitting shears - The TruTool C 250 Li-ion rechargeable battery 18 V mac..